The oldest frame house in Tennessee that still stands is the Carter Mansion in Elizabethton. 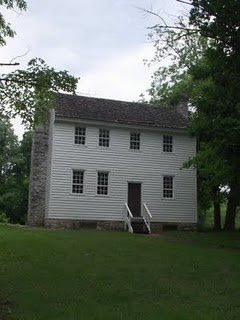 The house and the almost five acres that surround it is now part of the Sycamore Shoals State Park. It was once home to the Col. John Carter and to his son, Gen. Landon Carter. In 1776 the U.S declared independence. The Carter Mansion was built at around 1780. At the time, lots of things were happening. Groups were forming all over the country that would support each other and the new form of government that would later be named democracy. In Carter County the Watauga Association was formed to govern the area. Col. John Carter was one of the organization's founding leaders. Visitors to the Carter Mansion can walk around the grounds of the house. The grounds are shaded. A cemetery is off to one side. Just behind the Carter Mansion are the historic gardens. The house sits close to the near by Watauga Lake. 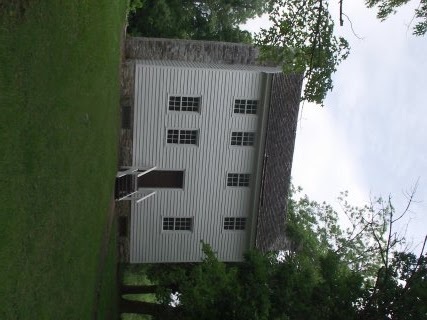 Tours of the Carter Mansion in Elizabethton can be arranged by contacting Sycamore Shoals State Park. The park itself is home to a number of historical reenactments and programs. Events are frequent during the summer that delight and educate people of all ages.